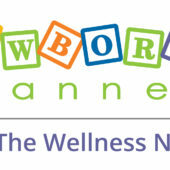 As Chief Medical Advisor and as a dynamic on-camera host and spokesperson for the Wellness Network’s Newborn Channel, Tanya provided product development insights, clinical expertise and relatable, accurate parent information on newborn health to thousands of parents in hundreds of hospitals across the country. Dr Tanya Altmann is Sharecare’s go-to authority for trustworthy, insightful and timely guidance on kid’s health. Tanya’s compelling ease with audiences is apparent on the national stage, television programming, and social media forums. She’s relatable and so much fun. Dr. Tanya, a highly demanded speaker, captivates audiences with her knowledge and enthusiasm about all topics related to raising healthy happy babies and children. From best baby products on the market to what to feed your baby to raising a smart successful child, parents keep coming back for her wisdom and practical advice.